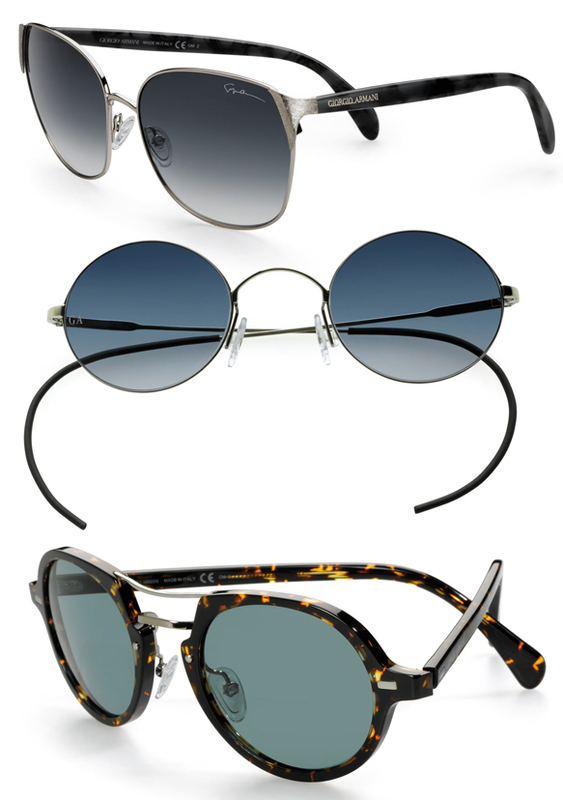 Are you on a wild goose chase to find that quintessential pair of shades that you just can’t leave the house without? Feel free to exhale a sigh of relief because we have a simple solution: Giorgio Armani Eyewear Collection for summer 2011 by Safilo Group. For the hottest season of the year, Giorgio Armani designed their summer sunnies around the concept of the color blue. Blue is synonymous with depth, calm and tranquility and reminiscent of proud and elegant cultures. This abstract ideology translated beautifully into three new models on tap for this collection. The three frames display a decadent mixture of retro and modern influences and come in an array of styles. Key elements of the new additions include round shapes, double-nose and modified bridges, gooseneck nose pads, glass, colored and gradient lenses, curled ear pieces, hand brushed metal and much more.